Keytruda Plus Chemotherapy More Effective For Lung Cancer : Shots - Health News Research finds that more than two-thirds of lung cancer patients who received Keytruda plus chemotherapy would be alive a year later, compared with about half of people who only got chemotherapy. A combination of an immunotherapy drug from Merck and standard chemotherapy led to improved survival for cancer patients. Results of a study published online Monday by the New England Journal of Medicine show that the drug is useful in combination with standard chemotherapy in the majority of patients diagnosed with an advanced form of lung cancer. Doctors already prescribe Keytruda to patients if a lab test shows that they are likely to respond to this drug. But Merck, the company that makes it, wanted to find out how the drug works in patients who aren't obvious candidates as determined by that blood test. Researchers led by Dr. Leena Gandhi at New York University Langone Health gathered data from more than 600 patients in 16 countries to test the drug more broadly. And it turns out that Keytruda, in combination with standard chemotherapy, also works in patients even if they have a low score on the lab test, which measures something called the tumor proportion score for PD-L1. Side effects were almost universal — 99.8 percent of patients who received Keytruda and chemotherapy experienced them. And among those in the comparison group, who got a placebo and chemotherapy, 99 percent reported side effects. The most common issues in both groups were nausea, anemia and fatigue. The study estimates that one year after treatment, 69 percent of patients who received the immunotherapy drug in addition to chemotherapy would still be alive, compared with 49 percent of people who received chemotherapy alone. While that's a notable difference, the drug did not stop cancer entirely in most patients. A year and a half after treatment, the disease had returned in three-quarters of patients with the new treatment. Even so, this success rate is better than doctors usually see in studies of this type. And it suggests that it's fruitful to combine immunotherapy treatment with chemotherapy. "It's a big deal," Dr. Roy Herbst, head of medical oncology at the Yale Cancer Center, told Shots. "It's not a home run yet but it's a pretty good double." He was at the American Association for Cancer Research meeting in Chicago where the results were announced, and was asked to provide commentary afterwards. Herbst said medical researchers didn't immediately think of combining chemotherapy with immunotherapy because it seemed odd to try to use chemicals to kill the cancer cells that the immune system was also supposed to be hunting down. But it turns out to be a reasonable strategy. Herbst compares it with inflammation around a cut, which marshals the immune system into action, only in this case the wound being targeted is debris from dead cancer cells. Dr. H. Jack West, an often skeptical cancer specialist at the Swedish Cancer Institute in Seattle, saw the data presented at the meeting in Chicago and called them "huge results." He expects they will lead to broader use of immunotherapy combined with chemotherapy for this type of lung cancer. A course of treatment with Keytruda can cost $150,000, so an expanded market could mean billions of dollars in additional revenue. Keytruda is also used to treat melanoma, Hodgkin lymphoma, and cancers of the stomach, head, neck and bladder. Other companies have similar immunotherapy drugs, but Merck's product has an advantage for treatment of lung cancer because it already has data in hand to show its drug is effective in this setting. Immunotherapy has generated excitement in recent years because, in a minority of patients, it produces a long-lasting response even to cancers that have spread throughout the body. However, as in the latest study, the effects frequently don't persist for most patients. 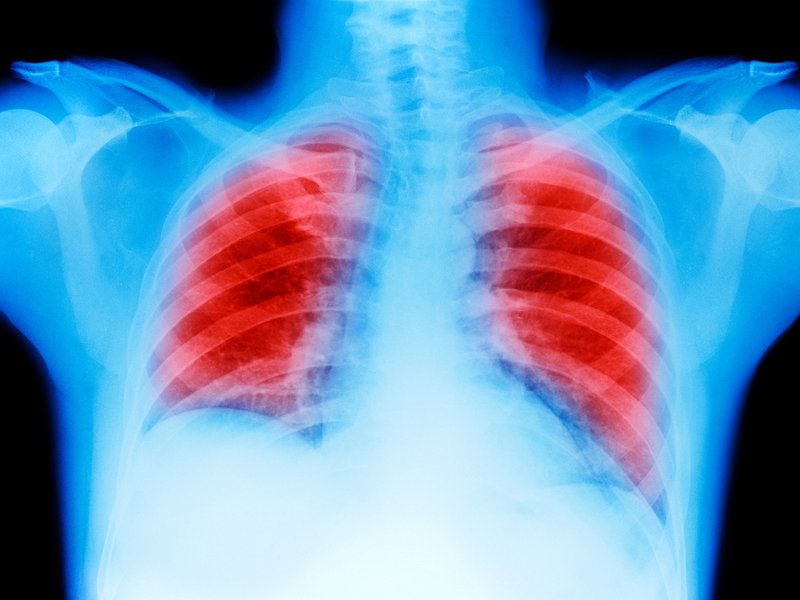 Some patients with non-small cell lung cancer respond to drugs that target specific mutations. Patients with those mutations (called EGFR and ALK) were not included in this study, and instead were referred to treatment with the drugs that target their mutation.